S.A.V. 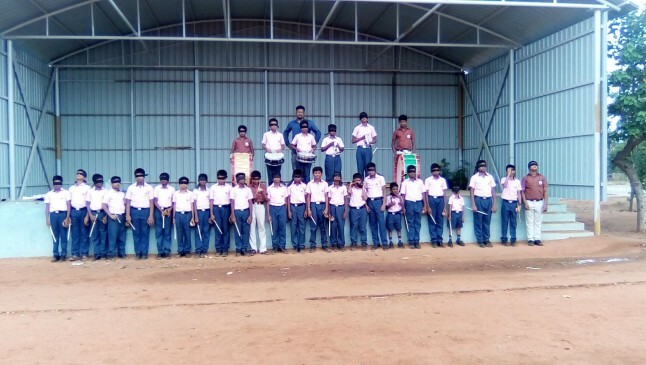 Balakrishna school Achieved â€œLargest Blind Folded Coconut Shell Ensemble by Team" with the total Students of 30. 24 students played coconut shell, 2 students played Bass drums, 2 students played Bigel, and 2 students played snare drum for 2min 30sec on 14 .7 .2018 at S.A.V.Balakrishna school,Vadakkankulam,Tamilnadu,India.